We had a day off between the second and third Elevation shows in New York City, so we drove up to New Jersey to check into our hotel – which we kept through the Elevation show in Jersey on October 28, 2001. The morning of the last Elevation show at Madison Square Garden on October 27, 2001, we took a bus from Jersey into NYC arriving in the GA line around 7am. This GA line was even more stressful than the first, but somehow we ended up at the front rail in front of Adam. Stereophonics opened. This Elevation show was definitely the best out of the three in New York City. The set list was pretty much the same, except U2 played “Please” acoustic as well as “Bad.” The highlight of the night was when Bono pulled our friend Jenny up at the tip of the heart during “New York” and kissed her on the lips. 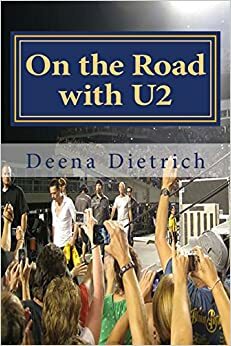 It was great because she’s been a U2 fan since 1981 and nothing like that has ever happened to her. But the truly inspiring part of the night was during “Walk On” when Bono had the FDNY come on stage. They shook hands, the firefighters spoke, Bono sang with his firefighter hat and FDNY shirt on. Bono led them around the heart. U2 closed the show with “Out of Control” with the firefighters still on stage. It was an absolutely amazing experience. Absolutely moving just over a month after 9/11! Elevation NYC3 10.27.01 Set List: Elevation, Beautiful Day, Until the End of the World, New Year’s Day, I Will Follow, Sunday Bloody Sunday, When Will I See You Again / Stuck In a Moment, Kite, Angel of Harlem (full band – electric), Please (Bono, Edge, Bruce Brody), Bad / 40, Where the Streets Have No Name, I Still Haven’t Found What I’m Looking For, Pride, Bullet the Blue Sky, What’s Going On (Bono, Edge, Larry), New York, One, Peace On Earth / Walk On, Out of Control.